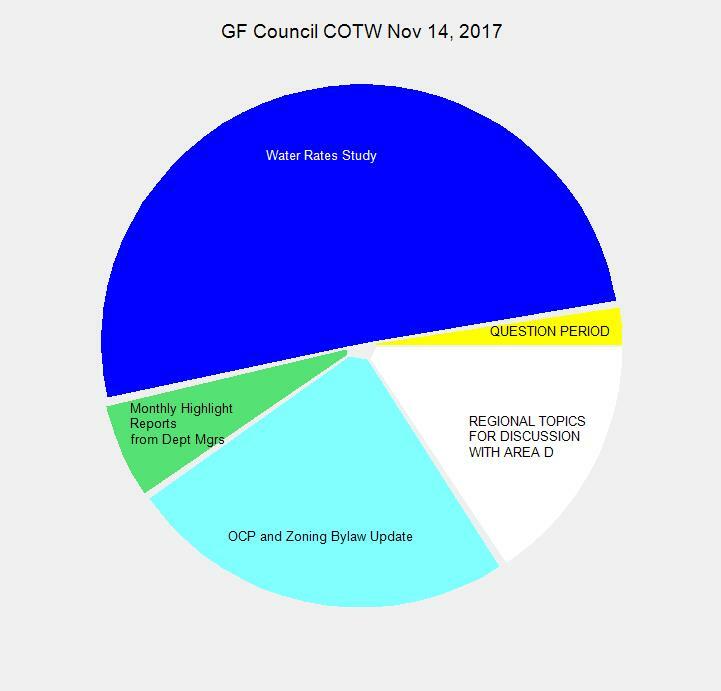 Grand Forks City Council had a full day of Meetings Nov 14, 2017.
and then the regular meeting in the evening. and the Water Rates Study. The OCP and Zoning Update was delivered by staff while the Water Rates Study was delivered by a staffer from Urban Systems, the contractor. Clearer pictorials are available from the agenda document. The Regular meeting had a few more items. Some of the unsightly premises items generated heated conversation as well as a bit of an education as to what constitutes unsightly. There was even some heated discussion in the council reports. The meetings can be viewed below. 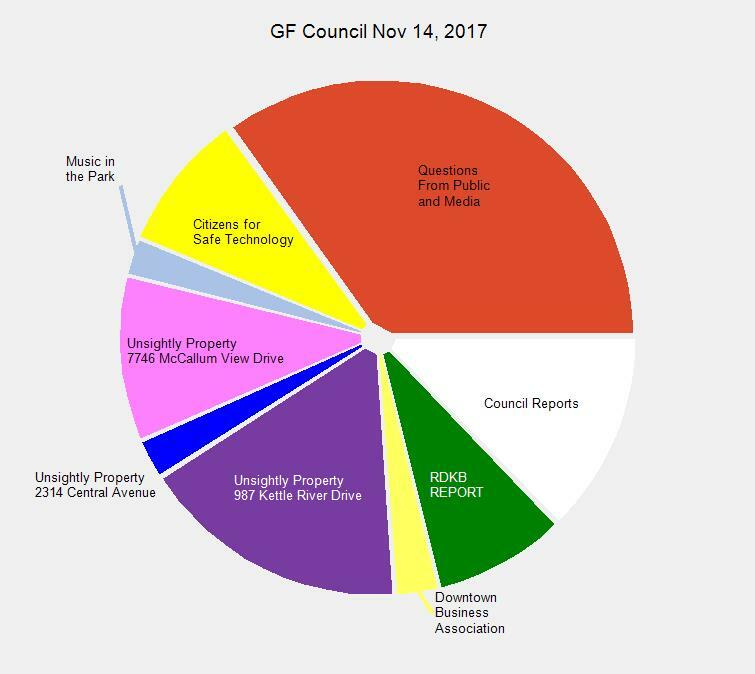 This entry was posted in City, government and tagged Bylaw 2041, Downtown Business Association, Fee for Service, music in the park, Unsightly Property on November 16, 2017 by gftvboss. 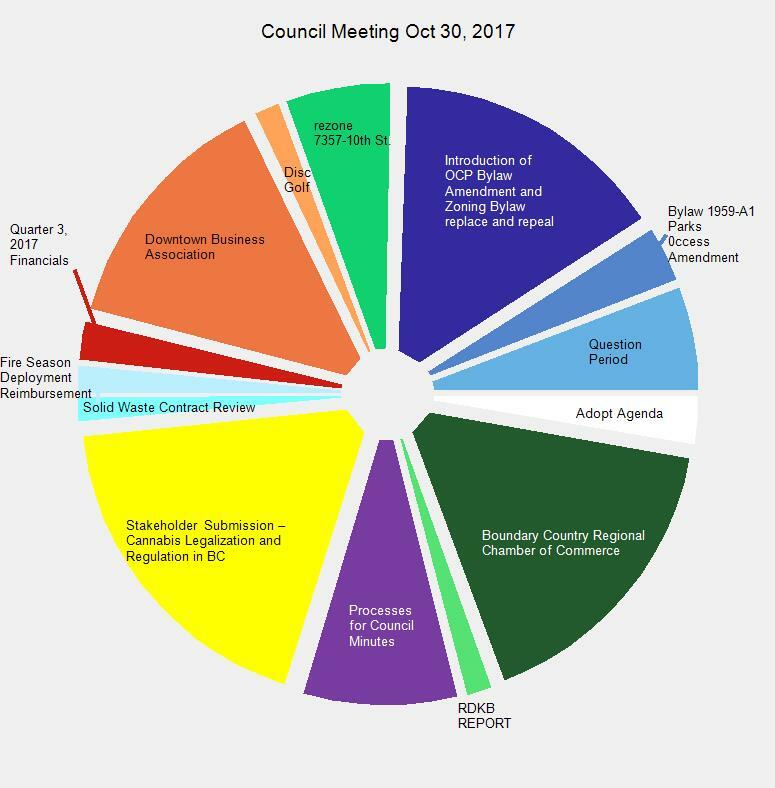 City council only had one meeting on the second last day of October. This entry was posted in City, government and tagged BCRCC, Boundary Country Regional Chamber of Commerce, Bylaw 1606-A6, Bylaw 1919-A2, Bylaw 1959-A1, Bylaw 2041, cannabis, Chamber of Commerce, Council Minutes, Disc Golf, Downtown Business Association, Solid Waste on November 1, 2017 by gftvboss.